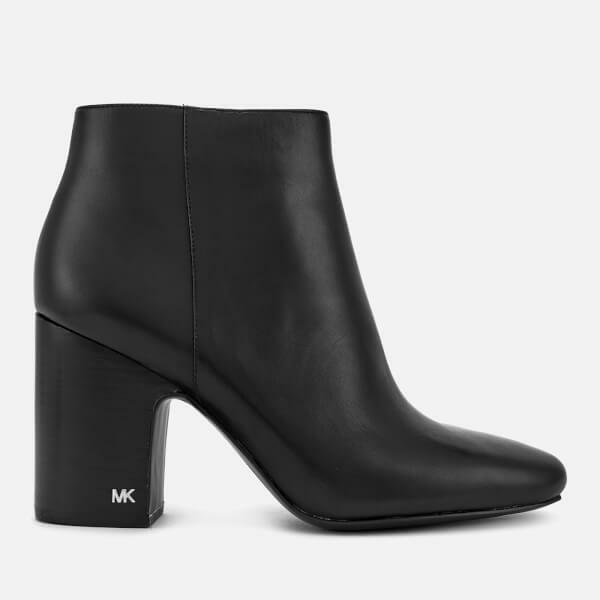 Women’s black leather ankle boots from MICHAEL MICHAEL KORS. Crafted with smooth leather uppers, the ‘Elaine’ ankle boots are designed with a covered block heel, a round toe silhouette and silver-toned medial zips. 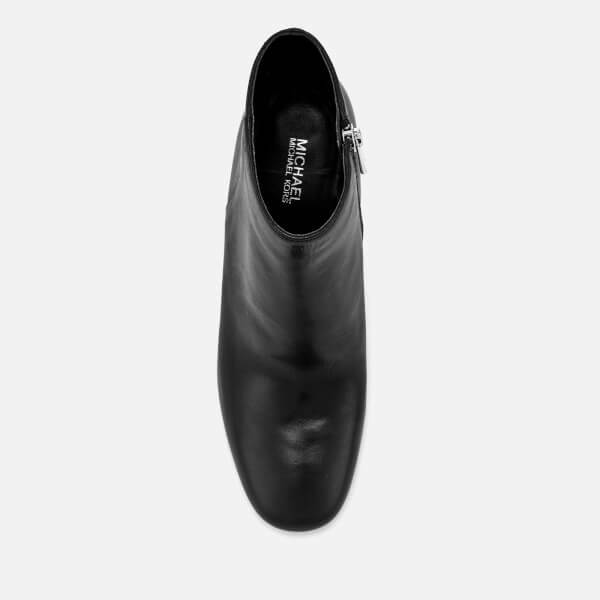 Complete with a signature 'MK' logo to the outer side of the heel, a leather lining and a cushioned footbed for comfort.